Blogs » GUEST ARTICLE: How Will Brexit Affect Contractors in the UK? Around 45,000 UK contractors live and pay taxes in Britain but work in mainland Europe; others work on short-term contracts or commute to mainland Europe. Many of these workers worry that they’ll lose the opportunity to work outside the UK; after all, they’re eligible to work in Europe only because Britain is part of the EU. It will also be easier for businesses in Europe to hire from other European Union countries, which means that many contractors working abroad may have to return home. Due to the uncertainty Brexit has caused, it’s unclear how contractors will actually be affected. At the moment, employers don’t know what Brexit really means, so businesses don’t know if they’re going to be in the single market or not. It’s also unknown which deals will be made between the UK and Europe and how that will impact tariffs in goods and services. Because employers don’t know what will happen post-Brexit, there will likely be a delay when it comes to investing in people and businesses until the uncertainty clears up. This could affect hiring decisions, from eliminating some contractor positions to restricting the amount of time contractors can work before they’re replaced by permanent employees. There’s also the possibility that businesses will choose to move out of the UK, which could cut down the number of contractor jobs available. For instance, the US already has 25% of its EU technology spend in Ireland, a country attractive to massive companies like Google, Apple and Amazon. Other companies, like Nissan or Honda, may follow suit and decide to leave the UK to set up shop elsewhere in the European Union – even if they choose to stay, they could eventually reduce their manufacturing facilities in the UK, which would lead to a loss of jobs. On a more positive note, the UK and the European Union have agreed that workers from EU countries will still enjoy the same rights until 2020. However, this hasn’t stopped a large number of skilled, experienced and educated EU citizens from leaving the UK – as this talent migrates back to their home countries, skills gaps are appearing in every industry. The need to address them will probably facilitate a rise in contractor jobs. In addition, employers may very well decide to hold off on hiring permanent staff until they’re clear about how Brexit will affect them. In the meantime, new projects and system changes still need to be done, which is where contractors come in. This doesn’t mean contractors will be out of a job after March 2019; the full impact of Brexit will not be known for months – or perhaps years – and businesses are likely to continue hiring contractors. If the government and the EU cannot reach an agreement, the 21-month transition period would not occur, severely impacting tariffs on trade and offering even more uncertainty over the rights of Brits in the EU and of EU nationals in the UK. It’s also likely that contractors could be caught in the first budget cuts. To make matters worse, companies like Airbus have threatened to move operations out of the UK, if the government is unable to reach a suitable deal. The uncertainty and ambiguity surrounding Brexit make it very difficult to predict the future of UK contracting. 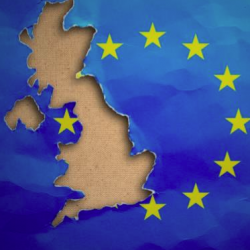 There is no denying the negative aspects surrounding the country’s departure from the European Union; however, there is also some good news for contractors. So, even though it remains impossible to know for sure what might actually happen, it’s important to consider that UK contractors will likely continue to have opportunities, as well.